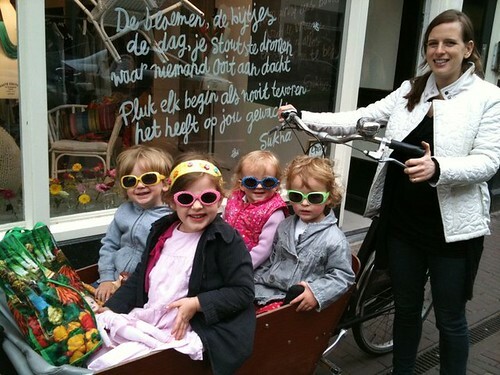 Note: This page was originally about the WorkCycles Cargobike, the upgraded sister of the Bakfiets.nl Cargobike. After selling, riding, renting and servicing our wonderful Cargobikes for 10 years it was time for a major overhaul. The result of that project is the WorkCycles Kr8. The basic format is similar but the Kr8 is improved in every way. Since 2015 WorkCycles builds only the Kr8 and Kr8 V8 with electric assist. Much of the general discussion about the Kr8 below is still relevant to the Cargobike too. 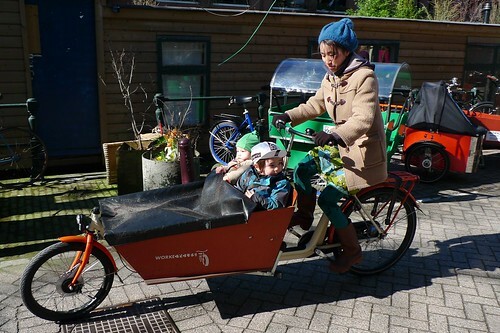 In fact some of the photos below still even feature WorkCycles Cargobikes. The Kr8 is the ideal way to transport kids, groceries, tools or whatever you need around the city. It is equipped to carry kids safely, stay clean and dry in street clothes, to ride in the dark and poor weather, and to live outdoors. Kids sit in front where they can see the sights and you can see and talk with them. They don’t get sprayed from your rear tire like in a trailer. The largest number of Kr8s are used for family transport but many businesses have also proven its value as a heavy-duty transporter. A WorkCycles Kr8 is an investment, but a great value for a practical, comfortable and durable vehicle that will provide years of reliable service… in all conditions. We’ve sold and used most of the bikes in this category but invariably recommend the Kr8 because it simply makes customers happy. A number of features make the Kr8 a fantastic combination of capacity, stability, convenience and pleasant riding. Most importantly it’s a 2-wheeler. It might look difficult to carry so much on two wheels, but actually the opposite is true; Bicycles (2-wheelers, that is) simply ride much more naturally and easily. This is why almost everybody begins riding a 2-wheeler as young as possible and never goes back to the tricycle. Tricycles are strange to ride and always remain so. Because they don’t lean through corners the handling is unnatural and tipping is common. For up to 3 kids or about 80kg cargo the Kr8 is simply better for most people than any tricycle. After a couple moments adjustment to the steering characteristics you can’t understand why it ever seemed strange. The Kr8 carries its load very low which actually makes it feel much lighter and easier to handle with cargo aboard than a standard format bicycle which has a much higher center of gravity. You’re far less likely to fall over with your kids, and even in the unlikely event that you do they’ll be low to the ground and surrounded by a tough wood and steel box. The steering geometry has been ingeniously developed to provide easy, neutral handling both empty and loaded. This is not the case with all load carrying bicycles so, if possible, definitely test any bike you’re considering, loaded and unloaded. You’ll find enormous differences. The parking stand is spring loaded for easy, automatic operation. Just push it down with your foot and roll the bike back a little to put it on the stand. Roll the bike forwards and the stand flips back up to ride. Like all WorkCycles bikes the Kr8 and Kr8 V8 are built Dutch-style to handle day-to-day use and abuse. Complete, automatic dynamo lighting with B&M LED headlamp and taillamp mean you’ve powerful lights when it gets dark. The generator is in the front hub where it’s silent, causes no perceptible resistance and is out of harm’s way. The wiring is hidden almost entirely inside the fork, frame and rear fender. The LED lights have a lifespan measured in hundreds of thousands of hours and the taillamp has electronic circuitry to stay on for several minutes when you stop at signals. An even more powerful headlamp with stand light function is optional. Being a proper Dutch bike, the Kr8 is designed and equipped to be ridden in street clothes, year-round, in all weather conditions. The sitting position is comfortably upright. Stainless steel, full-coverage mudguards and chain case keep you dry and clean. Shimano’s top of the line IM80 roller brakes with cast cooling fins ensure solid stopping power unaffected by weather. For the Fr8 V8 with electric assist, for hilly terrain or riding with particularly heavy loads powerful Magura hydraulic rim brakes are an option. The Schwalbe Marathon tires have a tough carcass and anti-puncture layer to make flats (and tire replacement) a rarity. An Abus rear wheel lock is included as is a bell. A choice of either the WorkCycles Gr8 or extra long Fr8 rear carriers are optional. For the kids and gear a rain tent with big windows and flat box cover are available. Further the Kr8 is built to live outside, ready for action. The paint is a tough powdercoat over a super corrosion resistant zinc–based primer. Many of the components and almost all of the hardware are stainless steel. The box is a water-resistant, hard-finished, marine plywood called “betonplex”. The drivetrain is completely enclosed in a chain-case where it stays clean and requires minimal maintenance. Like its sisters, the cult favorites Fr8 and Gr8, the Kr8 shares WorkCycles’ special Adaptive Seat Tube geometry. In a nutshell AST enables the bike to properly fit riders from approximately 155cm to over 200cm, simply by adjusting the quick-release seat post. Share your Kr8 with your partner, au pair, colleagues, customers…. 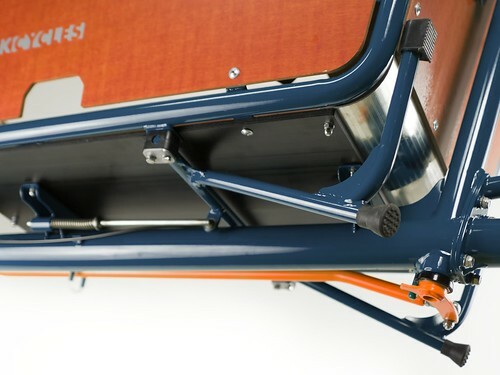 Read more about WorkCycles Adaptive Seat Tube geometry here. Can I ride it in hilly terrain? Yes but for that we highly recommend the Fr8 V8 with a powerful electric assist motor in the crankset (“mid motor”). With 250W of power running through the NuVinci infinitely variable gearbox the Kr8 V8 is a joy to ride both uphill and longer distances. It’s 11Ah battery unit provides a surprising range. One can normally ride though even the most strenuous day on a single charge. …and without electric assist in hilly terrain? It’s possible but will be hard work. 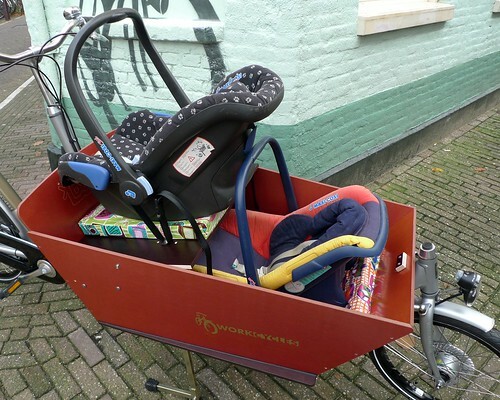 At 35-40 kg with an upright sitting position a Kr8 (or any comparable bakfiets) is no mountain goat. Small hills and rolling terrain are just fine for a moderately fit and motivated rider. Fitting lower gearing to the 8 speed hub helps, but not loading the bike down so heavily obviously helps much more. 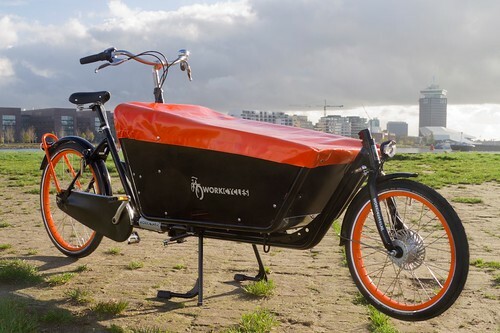 For more information about here you can also check out the WorkCycles Kr8 FAQ. For 10 years we discussed the pros and cons of the Cargobike Long and Short versions with thousands of customers. The overwhelming majority chose the infinitely handier Long version. A fair number of those who chose the Short version came back to trade it in for a Long one when child #2 joined the family. Considering the very small number of Short Cargobikes WorkCycles sold in the past few years we decided to only build the Kr8 in one size, and it’s approximately the same size as its Long predecessor. 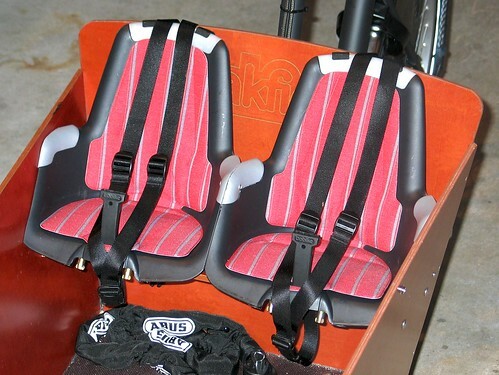 The Kr8 can carry 3 or even 4 kids in the box with the optional 2nd bench. It also has lots of space for groceries and kid stuff, even with 2 kids on the bench. We offer a Maxi-Cosi bridge that leaves room for kids on the bench, not possible (or at least comfortable with other makes). First baby in Maxi-Cosi, then toddler on bench, then new baby in Maxi-Cosi plus toddler on bench… Keep in mind that you’ll probably be bringing school-age friends along. WorkCycles takes pride in building and finishing our bicycles meticulously and providing warranty and service to match. 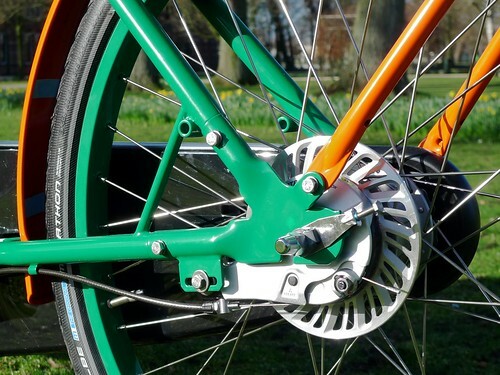 This is doubly critical for exported bicycles that cannot easily return for an adjustment. The frame carries a warranty of 10 years and components 1 year (except tires and a few other wear items). On bikes purchased from the WorkCycles shops in Amsterdam we add a generous service contract: one free service, 50% off labor on the six and 12 month services and 20% off all labor for five years from the purchase date. We recommend having the bike serviced twice a year to keep your bike running smoothly and avoid (expensive) damage caused by overly worn parts. Riding a smooth running, well maintained bike is a simple pleasure to be enjoyed! 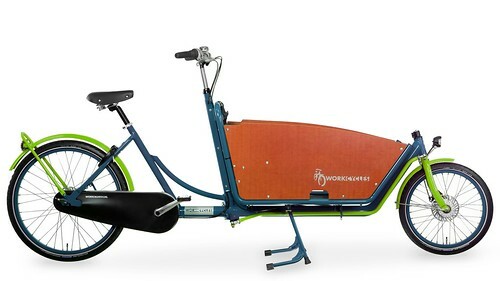 How do I buy a WorkCycles Kr8? 1. If you live in Amsterdam or nearby just come visit our showroom in the Jordaan. Or mail us. 2. 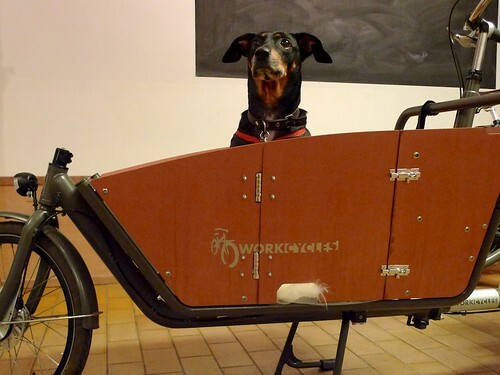 WorkCycles has a small network of dealers around the world. If we have a dealer near you please contact them first. 2. No WorkCycles dealer near you or there is a dealer but they don’t sell the Kr8? No problem; The Kr8 was designed for shipping. The frame splits in half and the box flat-packs. We ship our bike all over the world. Just contact us for the options sheet and a transportation quote. Within the Netherlands and regions of Belgium, Germany and even some parts of the UK we can ship the Kr8 economically without boxing it up; Just remove the packing materials and ride. All the Kr8 goodness plus a smooth and powerful motor in the crank to make the Kr8 even easier to ride. Uphill, against the wind, with a huge cargo load or four happy kids in the box you’ll feel like Super(wo)man. Both your muscle power and the motor’s 25W run through the tough, infinitely variable NuVinci N380 hub transmission. What goes up must come down, in this case with the help of Magura hydraulic brakes. Same bike as above but with Shimano roller brakes instead of the (more expensive) Magura hydraulic brakes. For use in flat or fairly mild terrain this version is also suitable. This is our most popular setup, including Shimano’s smooth, wide-range and trouble-free, Nexus Premium 8 speed internal gear hub. Shimano’s best IM80 rollerbrakes (hand operated) are on each wheel. 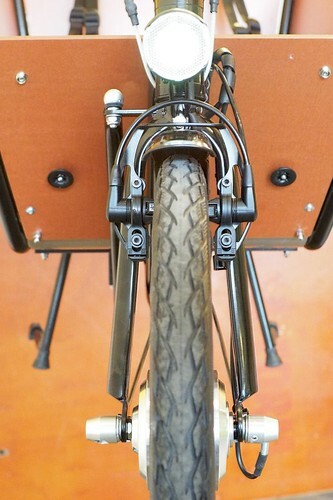 This is identical to the NN8D version above except with a rear coaster brake (backpedal brake). 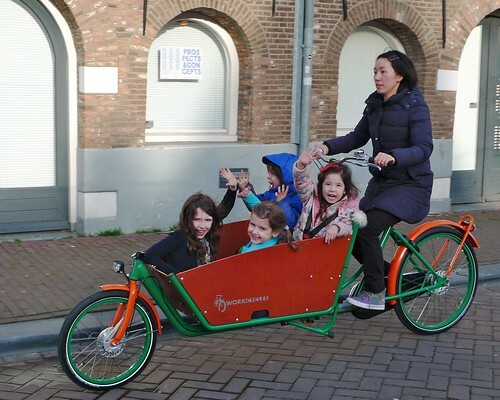 The coaster brake is familiar to those who’ve grown up with them and handy for doing typically Dutch things while cycling: pushing a child along on their own bike, sending messages on the mobile phone, eating an ice-cream cone etc. This spec is the same as the NN8D above but has the wonderfully smooth and strong Nuvinci constantly variable hub. instead of having steps between gears ratio of this hub can be set to exactly what you want right now. The total range is 380% vs. the Shimano 8sp hub’s 305% and it’s very strong too. The only real downside is the higher cost. The Shimano rollerbrakes offer nearly zero maintenance and perfectly adequate braking for those riding in mild terrain. There are applications that call for more powerful brakes though: Hilly terrain, very heavy loads and electric assist are a few examples. For these cases we can fit the amazing Magura HS11 hydraulic rim brakes. 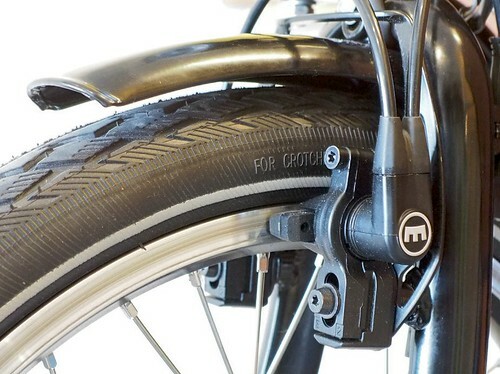 These are very powerful and as low maintenance as a rim brake can be. Below are descriptions of the most common Kr8 specific options. 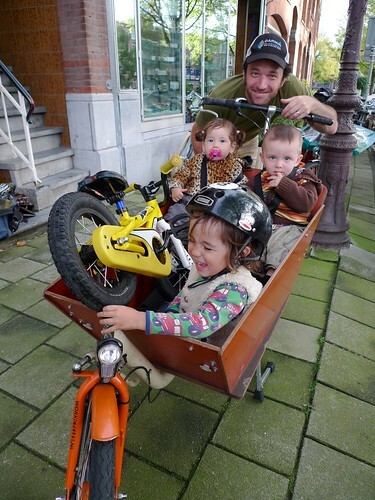 Naturally WorkCycles also carries an enormous range of other accessories such as child seats, panniers and locks. Custom work for special applications is also possible: Please contact us to discuss your needs. There are two standard colors: satin black or battleship grey. Each season we also paint a handful of unique bikes in our choice of “seasonal colors” but if you still don’t see what you want we can paint the Kr8 in your choice of one or more special RAL colors. The tent-style canopy protects the kids from rain and cold, and of course kids love sitting inside. The rear panel rolls up for ventilation or to talk with the kids. Its almost all windows and is made in the Netherlands of tough Belgian made Bisonyl truck tarp material to take a beating. We always have a few color options in stock and can order the others, even color combinations are possible. The cargo cover is a must. It protects the wooden box, prevents people from tossing their trash in the box, and provides some protection for the little things and groceries you want to leave behind while doing errands. The cover has snap closures on the sides so that kids can sit underneath, like in an old open sports car. With a hooded rain jacket this will keep kids dry in a light rain. In fact most families find that they use the Box Cover much more than the Canopy. 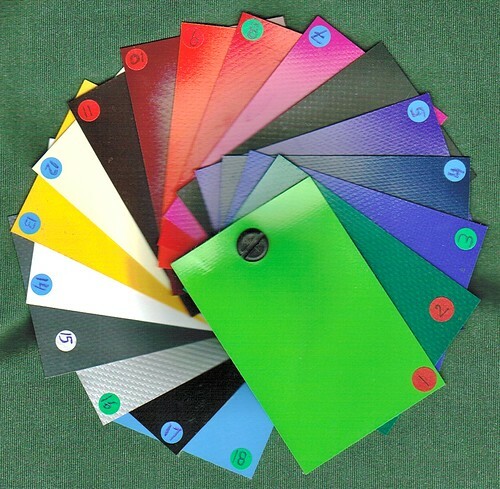 We always have a variety of covers in stock and can order any color you want. For those wondering what a “Maxi-Cosi” is… it’s by far the most popular baby carrier in Europe. Most babies lie in the Maxi-Cosi until about 9 months when they begin sitting. Since so many Kr8s are used to carry young families WorkCycles has developed our own Maxi-Cosi bridge that fits in the box of the Kr8. This holder safely carries the Maxi-Cosi so that kids can sit on the bench behind. 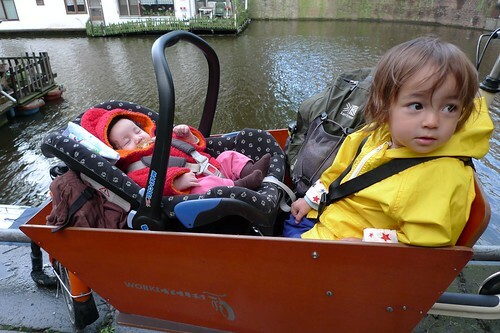 A Maxi-Cosi can also simply be strapped in the box (without our bridge) but then there’s no leg room for kids to sit behind it. Twins? Yes, we periodically build twin Maxi-Cosi carriers as well. It’s not a standard item but we do know how to do it. This is how to carry kids too big for the Maxi Cosi but not quite ready to sit on the bench without additional support (about 9 to 22 months). 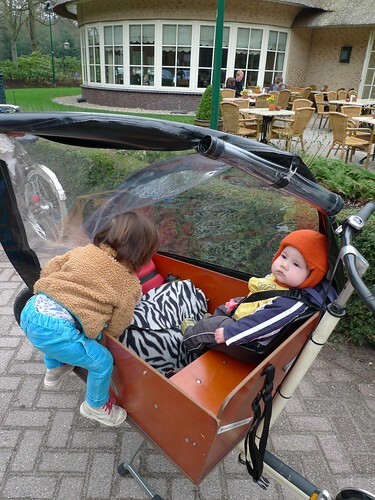 We begin with a Bobike Mini child seat and modify it to fit on either side of the the Cargobike’s bench. It takes up less than half the width and utilizes the bench’s original harness. Two can even be fitted for twins. We normally perform this operation on a old Bobike Mini brought by the customer, but will do it to new ones if you don’t mind purchasing and cutting up a fresh child seat. This is a slightly narrower bench installed forward of the standard bench. It can be pulled out when not in use. Handy both for families with 3 or 4 kids and for bringing little friends along. The second bench is normally equipped with one harness but we can also fit two. A nifty side door for your canine friend. If you live in a place where things get stolen, you’ll want this little cable from saddle to frame. It’s neatly installed and doesn’t interfere with the saddle adjustment but it prevents the saddle and post from being pulled out. The Kr8 is also a fantastic platform for urban delivery and other commercial applications so we build many types of boxes and carriers for the Kr8. The Kr8 is even available in an XL version with a cargo bay long enough for two 60x40cm Euronorm crates. We can also build custom boxes to suit your business needs. Normally we build a special box rectangular in plan and with vertical sides to fit standard 60 x 40cm transport boxes. Our own boxes are built with panels in a metal frame so that the edges are protected. Slots for tie-downs can be fitted as needed. Freight boxes have no provision for carrying children – that’s what the standard box is for. Please contact us for more details. For WorkCycles purchase and contact information please visit the WorkCycles website and the Kr8 product page. Hi, I live in Portland, Oregon USA, zip code 97212. 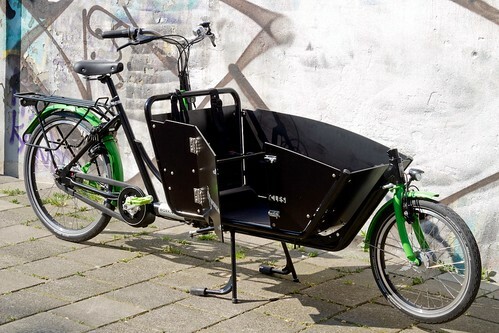 Can you please provide pricing to ship a Lux 8 speed cargo bike (long), to the US? Please include freight with your quote. 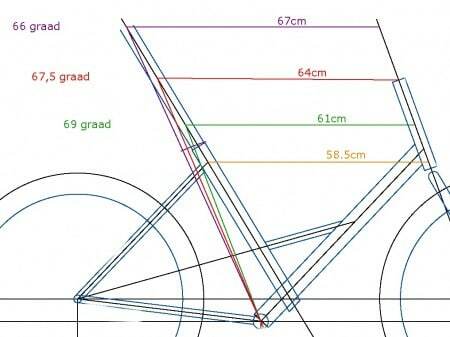 I’m currently putting together a bakfiets based on the Vanandel Frame. I would like to know if money was no issue which gearing system you would use ? I did read you like the 8 speed from Shimano, but if isn’t there another option you’ld rather use ? I think I’d make it a fixed gear with a purple Phil Wood flip/flop hub… not. I must say that I quite enjoy my wife’s Cargobike with a Shimano 8 speed coaster brake hub but if it were hillier that wouldn’t be my choice. The Shimano Nexus 8 Premium hubs are really buttery smooth and still fit rollerbrakes. On my own Fr8 I have a NuVinci. I really like this hub too with the big exception that when it’s very cold (I mean way under freezing) it feels like I’m pedaling through molasses. Aside from that the hub has a nice wide range, needs no adjustment and is super smooth. Would you agree or is the nuvinci 360 a better choice ? I woul love a quote for a standard two-wheel cargo bike (long). United States, Seattle, Washington, 98121. I have no available truck for pick-up. However ever if that matters with price could you quote both prices? I am so excited, I look forward to hearing from you. That’s going to be though I think , this shop is in Amsterdam ! 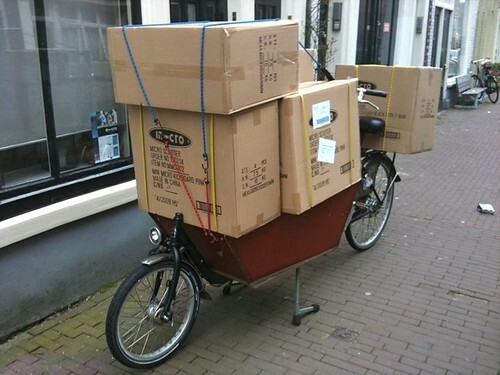 Actually we do ship our bikes all over the world so it’s no problem at all. Buying the bike from Clever Cycles in Portland might be more practical though. Send us a note at [email protected] and we’ll send pricing info. 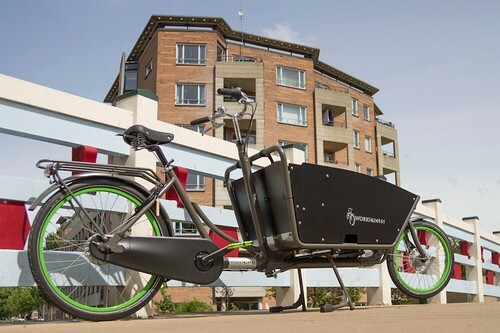 Looking through all the info you have here, one thing I don’t see is a description of the difference between the Workcycles Cargobike Delivery Vehicle and the Workcycles Cargobike Long (and Short, I suppose). 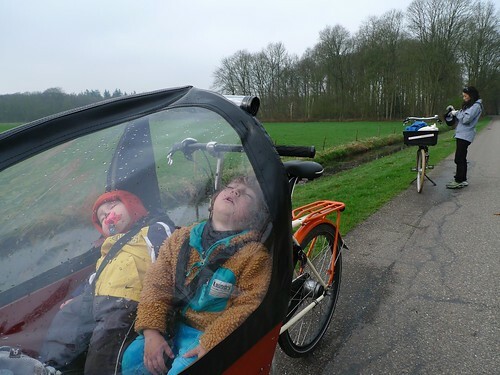 It seems to be that the Bakfiets.nl and your two models share a manufacturer, so I’m guessing most of the difference is in specification? Jonathan, I think I don’t understand your question. The differences between our Cargobike Delivery (commercial transporter) and Cargobike Long/Short (family carriers) should be rather clear. 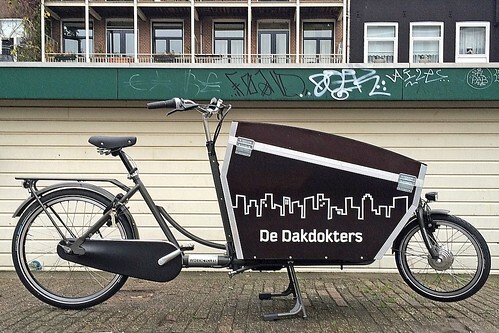 Yes, our current Cargobikes are indeed built in the same factory as the Bakfiets.nl bikes but with different specs and options. 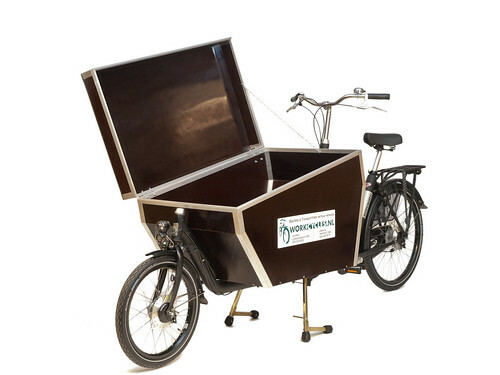 We custom build the Cargobike Delivery in our own workshop specifically for the needs of each customer. For one situation it might be as simple as putting a different box on our standard chassis but another bike might see more intensive use. In that case we can make many modifications to raise the cargo capacity: hydraulic brakes, upgraded hub/crank/chain specs, different tires, higher grade steering joints, heavier duty headsets, even extending and reinforcing the frame. Clear now? Is the orange color used in KR8 bike RAL2004? Ville, RAL 2004 is the orange color we use most frequently. It’s not a standard color but something we use fairly regularly here. Just dropping by to say thanks for the great KR8! I bought one (in Brisbane, Australia) in 2016. And I’ve just recently added a Bafang BBS01 mid drive for the Brisbane Hills. It fits nicely behind the bottom bracket on top of the chainstay. Just thought I’d drop a note in case any other KR8 owners are considering adding the bafang. Otherwise your stock electric system looks fantastic, but wasn’t available out here.